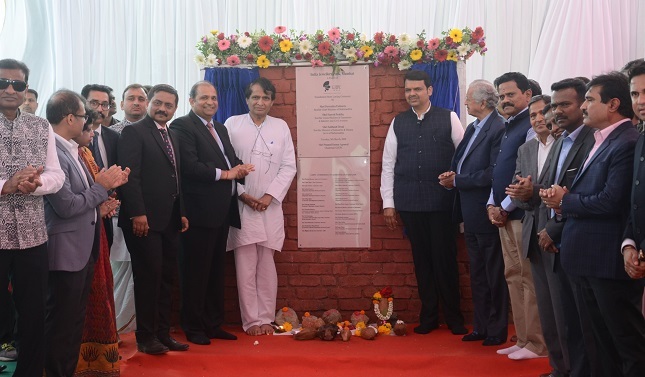 The foundation stone laying ceremony was attended by Suresh Prabhu, India’s Minister of Commerce & Industry and Civil Aviation; Devendra Fadnavis, Chief Minister of Maharashtra; Subhash Desai, Minister of Industries and Mining of Maharashtra; Ms. Rupa Dutta, Economic Advisor, Ministry of Commerce & Industry; Raj Purohit, Bharatiya Janata Party leader; Pramod Kumar Agrawal, Chairman of the Gem & Jewellery Promotion Council of India ( GJEPC); Colin Shah, GJEPC Vice Chairman; and members of the Committee of Administration of GJEPC. The GJEPC will be entrusted to construct the Park in the MIDC Industrial Area as a special purpose vehicle (SPV). India Jewellery Park is estimated to generate employment of 100,000 workers, enhance manufacturing, investment, export growth and overall economic development of Maharashtra and in India at large. “On the jewellery side, every village in India has a jeweller and we have a flourishing domestic jewellery trade. We have connected to 184 countries to promote all exports including indigenous gem and jewellery sector. India Jewellery Park will create a 100,000 jobs and indirectly create multiples of the same. We are in the process of creating a Domestic Gem and Jewellery Council through a democratic process. We want to double exports from US$ 40 billion and generate similar amount of business from domestic sales,” the minister added.